Your itinerary includes some good beach time at Burleigh Head National Park and Belongil Beach. Museum-lovers will appreciate Tweed Regional Gallery & Margaret Olley Art Centre and 19 Karen Contemporary Artspace. 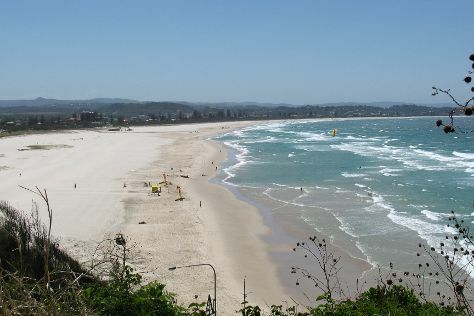 Venture out of the city with trips to Byron Bay (Stand-Up Paddleboarding & Kayaking & Canoeing). Spend the 1st (Sun) exploring nature at Natural Bridge. There's much more to do: enjoy the sand and surf at Kirra Beach, buy something for everyone on your list at Robina Town Shopping Centre, and tour the pleasant surroundings at Coolangatta Beach. Ask Inspirock to suggest an itinerary and make planning a trip to Gold Coast fast, fun, and easy. Kuala Lumpur, Malaysia to Gold Coast is an approximately 12-hour flight. You can also do a combination of flight and train. The time zone difference moving from Malaysia Time (MYT) to Australian Eastern Standard Time (Queensland) (AEST) is 2 hours. Expect slightly colder temperatures when traveling from Kuala Lumpur in November; daily highs in Gold Coast reach 30°C and lows reach 20°C. Wrap up your sightseeing on the 2nd (Mon) early enough to travel to Melbourne. 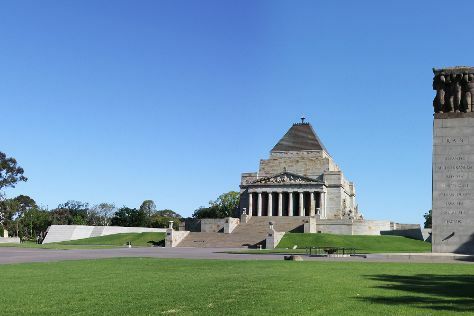 Do some cultural sightseeing at Shrine of Remembrance and Melbourne Museum. Art Gallery of Ballarat and National Gallery of Victoria will appeal to museum buffs. When in Melbourne, make a side trip to see Lake Wendouree in Ballarat, approximately 2 hours away. Next up on the itinerary: tour the pleasant surroundings at Royal Botanic Gardens, have some family-friendly fun at Viri VR, take in panoramic vistas at Eureka Skydeck 88, and soar above the sights with a balloon tour. To see photos, ratings, where to stay, and more tourist information, use the Melbourne trip itinerary website . Getting from Gold Coast to Melbourne by flight takes about 4 hours. Other options: do a combination of train and flight; or drive. Traveling from Gold Coast in December, Melbourne is slightly colder at night with lows of 14°C. Wrap up your sightseeing on the 6th (Fri) early enough to travel back home.